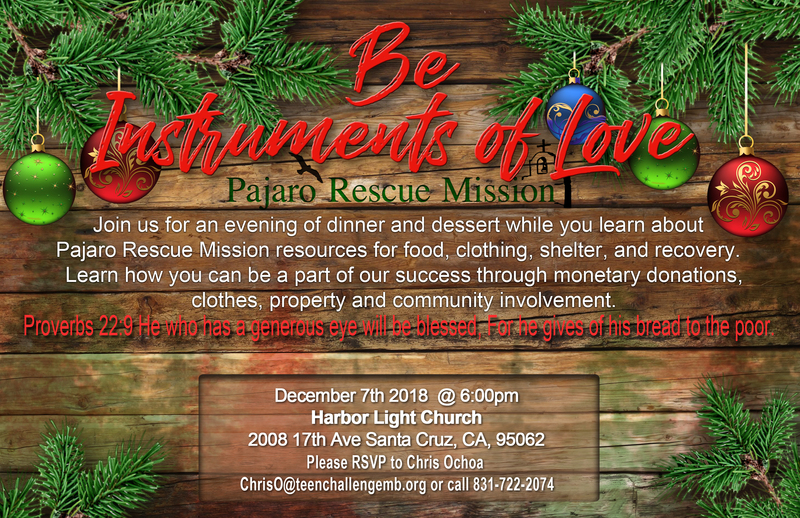 Join us for an evening of dinner and dessert while you learn about Pajaro Rescue Mission resources for food, clothing, shelter, and recovery. Learn how you can be a part of our success through monetary donations, clothes, property and community involvement. Proverbs 22:9 He who has a generous eye will be blessed, For he gives of his bread to the poor.